Whether a child lives in Memphis or Mozambique, the Bible comes alive when it’s visualized. 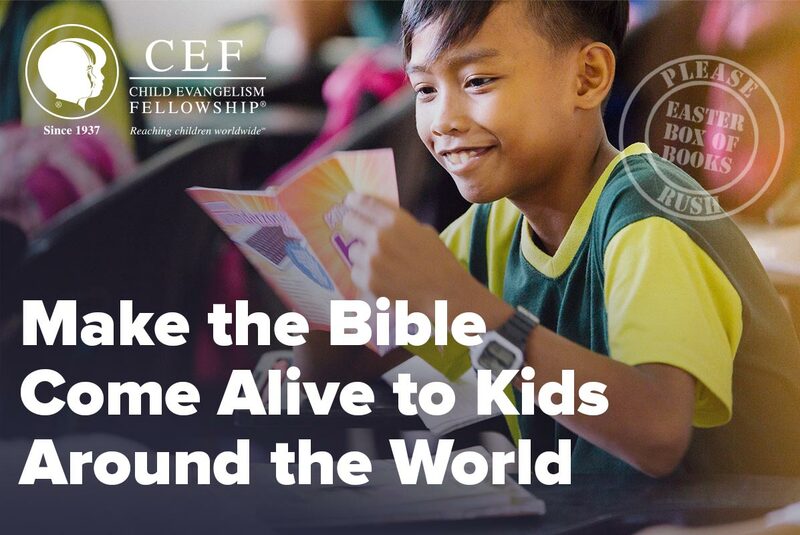 Yet many of CEF workers and volunteers have no access to visual materials … and even if they did, they couldn’t afford to buy them. That’s why we send Boxes of Books to our workers around the world—boxes filled with visual resources, Wonder Devotional Books, and other materials so children could learn more about Jesus. And since we started sending these resources, we’ve seen an amazing 68 percent growth in the number of kids who hear and respond to the Gospel! This Easter, you can help double that number. Thanks to a $25,000 matching grant, we can send twice as many Boxes of Books—letting twice as many children around the world hear the Good News of Jesus Christ! When you give today, you’ll let children around the world know that Jesus died and rose again to save us . . . and to save them. Will you help?